Please let me know if there is something I am doing wrong. Click Clear Limts button to reset. then redo the options you wanted to happen. I am currently checking your form. Please give me more time to further investigate the issue. 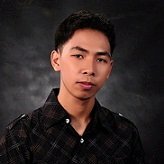 I will get back to you as soon as I get a result. 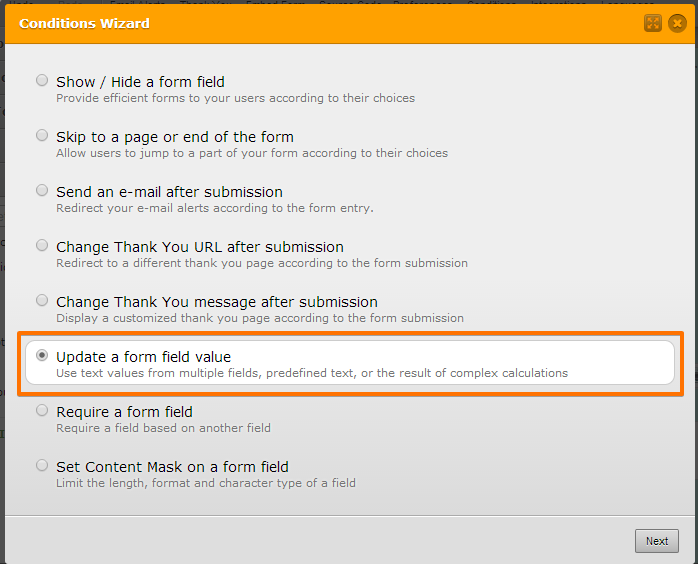 As per checking your form, I noticed that the first limit date you mentioned above (The current day and next day are not disabled/grayed out) is not currently setup in your form. 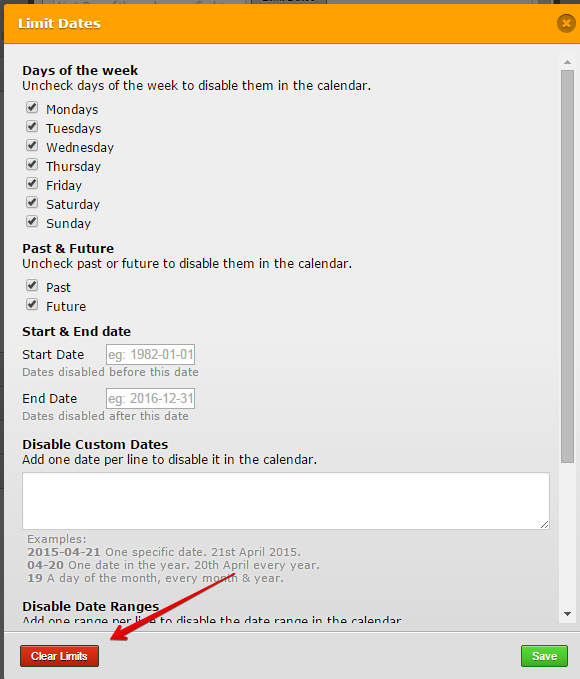 To setup this limit date on your form you need to add this today>todat+1 in Disable Date Ranges in your Date Time field Limit Dates setting. 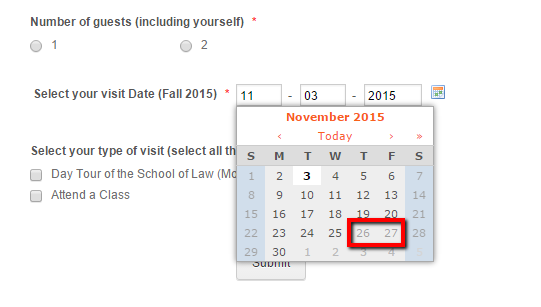 For the Custom Dates, I noticed that the days less than 10 is setup like this 2015-09-7 for the custom date to work. See screenshot below. 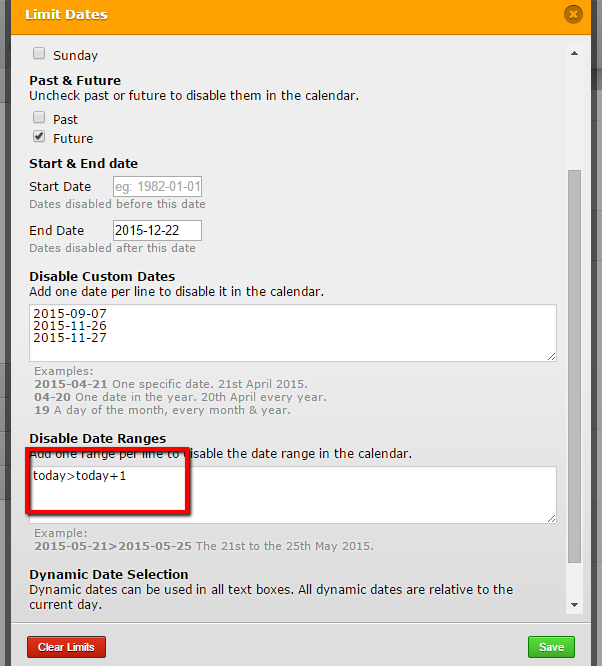 Regarding on the End Date setup on Limit Dates setting of Date Time field, I noticed that it is working fine. See screenshot below. 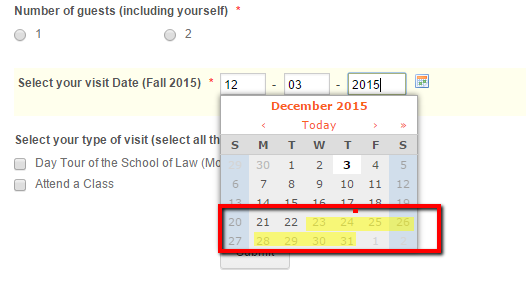 Dates after the set End date was disabled. 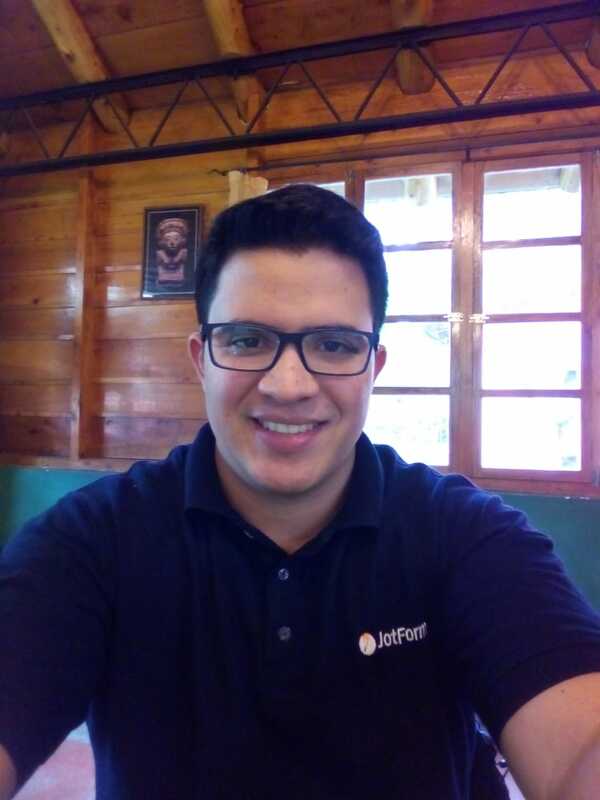 If you are still encountering the issue on your end, can you try to clear your form cache and browser cache and see if it works? Hello, I've cleared the forms cache and re-did everything. It now appears to work as desired, thank you. 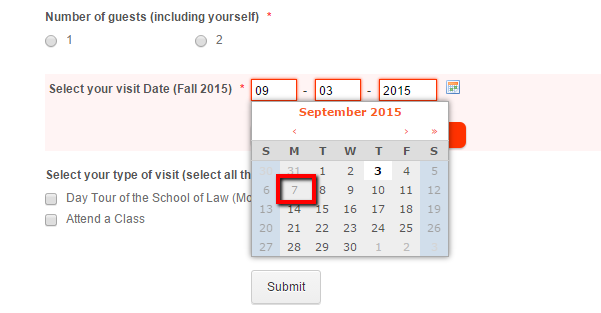 I have one other question- in this form you see that I have the date selection. Is it possible to set the conditional values I have further below based on the day of the week selected from the date? That way I could eliminate the manual selection of the day of the week? If not, please open a new thread and provide as much details as you can about this new question, in order to further assist you.